Location: located in the south of Flaming Mountains, about 42 kilometers southeast of Turpan city, 6 kilometers from the Ancient City of Gaochang, Xinjiang Uyghur Autonomous Region. - take buses at Turpan Coach Station, get off at Sheng Jin Kou (胜金口), and then take pedicab (2CNY/person). 1. Unopened areas are forbidden here in order to avoid danger. 2. No photos in the tombs. 3. Do not touch the mural paintings in the tombs. 4. No smoking in the tombs. 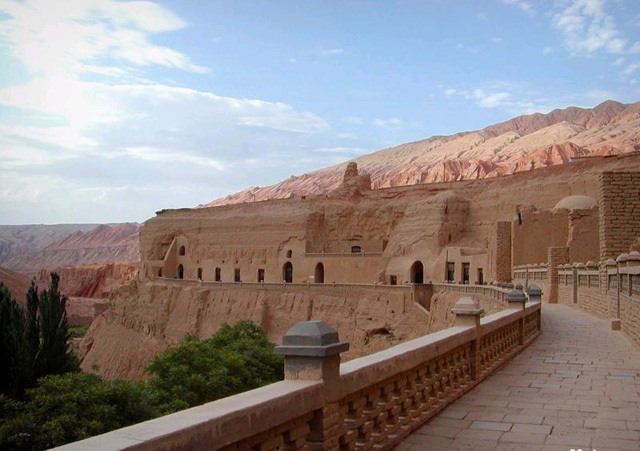 Known as a magical "Underground Museum" in Turpan, Astana-Karakhoja Ancient Tombs of Xinjiang Uyghur Autonomous Region is a burial ground of Tang Dynasty (618-907). 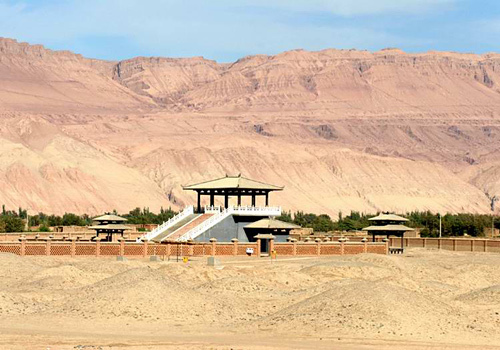 It is located in the south of Flaming Mountains, about 42 kilometers southeast of Turpan city and 6 kilometers from the Ancient City of Gaochang. The name "Astana" means "Capital" in the Uighur language. And "Karakhoja" is the name for a legendary Uygur Kingdom hero who protected the people by slaying a vicious dragon. Served as a public cemetery for Ancient City of Gaochang, these tombs were gradually formed from the 3th to 8th century and have a history of more than 2,000 years. Occupying an area of 10 square kilometers, it stretches from northeast to northwest of the ancient city and about 5 kilometers long from east to west and 2 kilometers wide from north to south. Astana-Karakhoja Ancient Tombs are mainly for Han people, some ethnic minorities such as Cheshi, Turkic, Hun are also buried here. The tombs were a peaceful and secluded resort for residents of Gaochang City to rest after death. From prominent officials, excellent general, normal soldiers to common residents, they are people from different class, career and ethnic minority and were buried at the same place, which reveals the relations between different ethnic groups here are harmonious and equal. In 1988, Astana-Karakhoja Ancient Tombs was listed as one of the country's key protected cultural sites in China. What to see in Astana-Karakhoja Ancient Tombs? Over 500 tombs are excavated including remains of nobles, officers and common people. However, King of ancient Gaochang hasn’t been found yet in the tombs until now. Thanks to the high location and natural conditions for being drought and hot, the sterile environment offers an ideal place for maintaining the ancient corpses and burial articles. They are still well preserved miraculously after going through millennium vicissitudes. Thousands of paintings, earthen figurines and other relics are as fresh as they were new. The tombs are well arranged with clear demarcation. The whole burial system in the tombs is strictly classified by family, which is similar to the system in Hexi Corridor (Gansu Province, northwestern of China) and central China. The tombs are in good order by generation base on the formal paternal family. For example, grandfather, father, son and grandson are well arranged in generation order. Husband and wife are buried together. The layout of tombs is designed as Chinese character "甲" with a 10 meters slope, stretching into the burial chamber. Generally, the chamber is 4 square meters and 2 meters high with a dome or flat top. The dead are replaced on an adobe or wooden bed, where is in the back of burial chamber. Head on carved pillow, face covered by cloth, hands with wood, the dead dress in cotton, linen or silk clothes. At the same time, miniature pavilions, carts, horses, solders, musical instruments, chess, pens, ink, grapes, melons, dumplings and pancakes are all around so as to be used in the underworld. Beautiful and vivid paintings of figures, birds, flowers, rivers and hills are decorated on the back wall of some chambers. Due to the dry conditions and low humidity, about 80% bodies in the tombs are turned to be mummies. They are comparable favorably to those from Egypt. 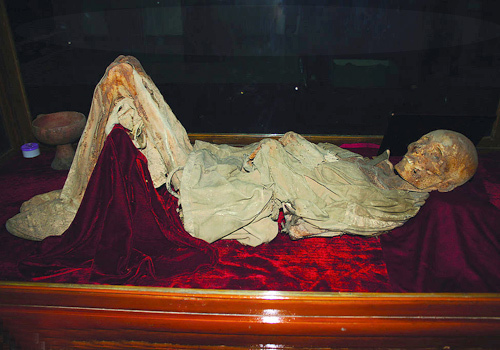 Most of mummies remain perfectly because of the natural preservation. The diet, health and living conditions at that time have been revealed by analysis of the hair of these mummies. 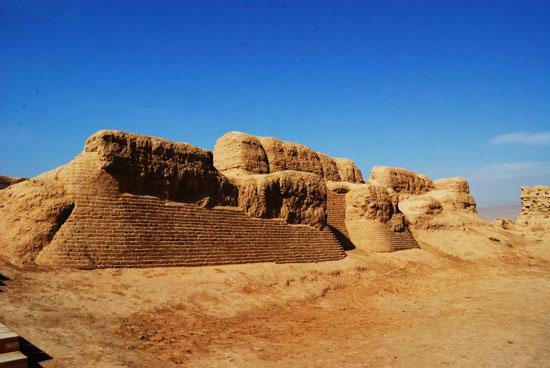 Since the 1950s, China has conducted archeological work extensively in Astana-Karakhoja Ancient Tombs and unearthed many historical and cultural relics, gradually unveiling the mystery of the society, history and traditional culture of Turpan region. 456 tombs are excavated, whose era can date back from 273 in Western Jin Dynasty (265-316) to 772 Tang Dynasty (618-907). Meanwhile, tens of thousands of precious relics were earthed including books, embroideries, mural paintings, pottery, gold, woodworks and ancient coins and so on. 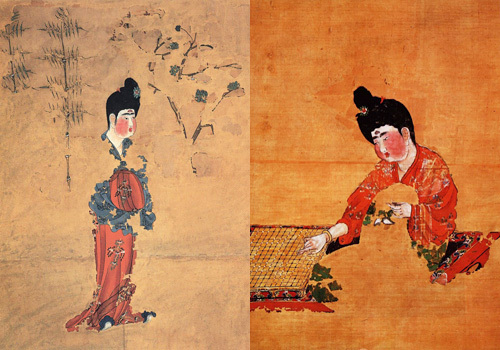 Among them, bird embroidery and painting of Fuxi and Nvwa (Chinese god and goddess) are particularly famous for their superb skills and art values. In addition, a great variety of books range from 273 to 778 recorded the detailed information of all aspects of daily lives at different times, such as contracts, bills, official documents and correspondences. They are priceless primary information sources for Turpan history research and have been compiled and published by the Cultural Relics Press in China. Astana-Karakhoja Ancient Tombs have received wide attention worldwide and provide abundant resources and great value for archeological and historical research.